Sponsored by AGS Stainless, Inc. Explain the advantages of a prefabricated custom railing system and an all stainless steel railing system. Compare and contrast the railing system materials used for posts, top rails, and infill. Describe common challenges with locally fabricated metal rail systems. Evaluate how stainless steel railing systems meet health, safety, and welfare requirements. Metal ornamental railing systems can provide an elegant and functional finishing touch to a building project. However, it is important for architects to understand the difference between the types of materials available, as well as where and how the railing system is manufactured, and how it will be installed. By understanding these aspects of the railing system, architects can better manage this aspect of the building project. All photos courtesy of AGS Stainless, Inc.
Ornamental stainless steel railings can add a touch of luxury and class to both interior and exterior designs, and can be easier for builders and architects when prefabricated off the job site. This course will discuss the overall advantages of choosing a custom-fabricated railing system built off-site compared to off-the-shelf products or locally fabricated railings. 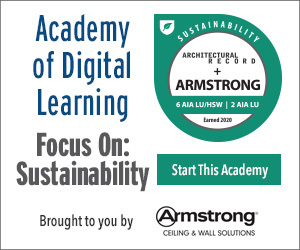 In addition to looking at the practical considerations of how different fabrication choices affect project time and budget, this course also identifies some ways to address health, safety, and building occupant welfare. The traditional practice of building railing systems on-site can present architects and building professionals with several challenges that can affect overall project timelines, budget, and safety. When a general contractor builds a railing system on-site, he/she handles the entire process, from design to installation. This approach can add to project costs through time delays since the time spent on the railing system is time taken away from other aspects of the building project. Alternatively, contractors may choose off-the-shelf railing systems, which greatly limit the designer’s ability to provide custom and personalized touches to the overall project design. Contractors often tend to choose wood, composites, or aluminum as the materials for on-site railing systems because they are easier to work with. Aluminum, for example, is very popular because it is strong, lightweight, and durable. These materials, however, are not always the best choice for a specific project design. Stainless steel railings, on the other hand, are considerably stronger, more durable and offer greater design flexibility than the previously mentioned materials. Whereas these other materials can be bought off the shelf and cut to length on-site, stainless steel railings must be custom fabricated before they can be installed. When a contractor chooses to include custom stainless railings on a project, he/she usually hires a local metal fabricator/job shop who will design, manufacture, and install the railing system. While this practice can result in unique work from local specialists, it runs the risk of adding to the overall project cost and completion time. On-site railing work also increases the health and safety risk to the fabricator/installer, the contractor, and the building team, especially when materials need to be welded on-site. As an alternative, architects and building professionals can choose that the stainless steel railings they specify for their projects be prefabricated. This option is more efficient and more reliable than using a local metal fabricator. It also takes some of the workload off the general contractor. Architects can consult with a manufacturer’s railing specialist to determine the best design choice for the project, and then provide their CAD designs to the manufacturer for customized fabrication. The manufacturer will deliver the finished product to the construction site as a ready-to-install, fully componentized system. The result is a project that benefits from customized, factory-crafted ornamental railings, without the time, expense, and uncertainty of local fabrication. 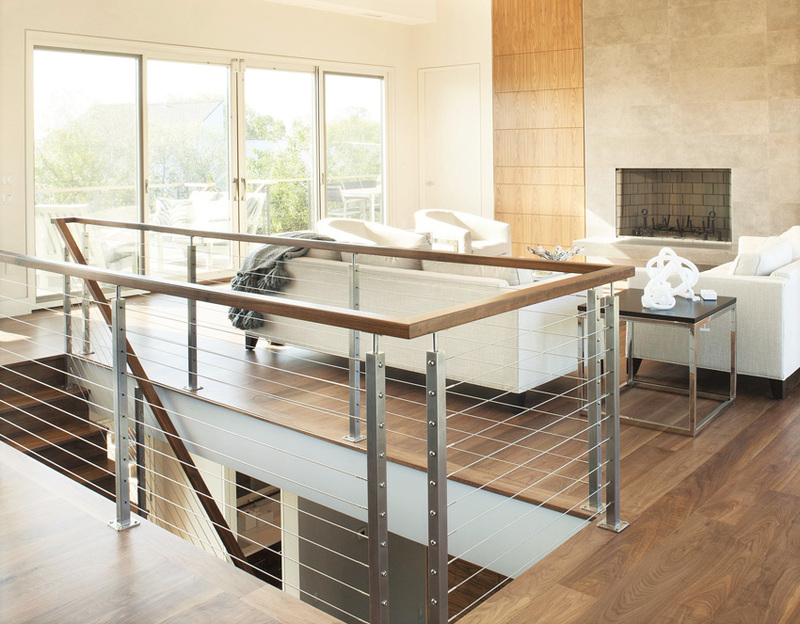 There are several benefits to using prefabricated railings. First, because the architect can custom design the railing, he/she can make sure that the design works perfectly with the rest of the building design. As noted above, architects can consult with railing specialists from the manufacturer if they have questions about their design or would like to explore design solutions they may not have initially considered. Once the custom design is sent, the railing system is then produced in a centralized factory, where quality-control protocols ensure consistent product excellence and lean manufacturing processes reduce construction waste, when compared to local fabrication. Prefabricated systems also mean fewer on-site worker safety concerns because the installation tends to be easier, safer, and quicker than with locally fabricated railings. No on-site cutting or welding is needed, and thus the building site and construction team can avoid the risk of sharp metal debris from the rails, or risk of electric shock or toxic fumes from the welding. All of the above elements translate into shorter installation times, lower project costs, and improved safety for the on-site construction team. They also contribute to a more streamlined project schedule, which can also mean lower overall project costs.